Hey everyone! Hope y’all had a great Thanksgiving! 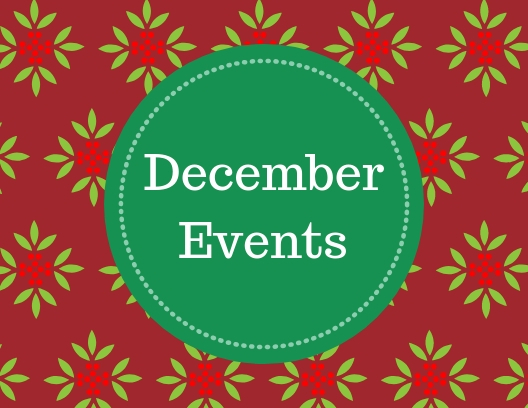 With the passing of this holiday, December is quickly approaching, so here is the monthly events article! This article consists of a list of 10 free writing events in Michigan, yeah you read that right, they’re all FREE. As usual, please comment on this article if you attend these, or any other events not listed! We’d love to hear from you! While this isn’t exactly a writing event, creating a vision board can help you visualize the settings and overall feel of whatever piece of writing you’re working on, whether it’s a novel, short story, or even a poem! Check out more details through the link! This little book club is perfect for anyone who is looking for a sense of community! This month, they are discussing the book “The Big Sleep” by Raymond Chandler! Click the link for more information! Jeannie Ballew will be giving this awesome presentation all about how to deal with your inner critic, and get back to writing! With different activities and snacks, this is jammed packed! More information is available on their MeetUp! It’s exactly what the name says! Come share your poetry at the Open Mic Poetry night, or just listen! Click the link for more info! Ellen Bennett will be celebrating the release of her new book, “Pagodaville”. It’s sure to be a memorable event! More info through the link! The Cottage Used Bookstore Book Club will be discussing “The Fearless” by Emma Pass. This book club focuses on YA (Young Adult) Novels, but welcomes all ages! Click the link for more info! Join us for a fun evening discussion of this action packed YA book! This is a great event to go and network at! Meet tons of writers, filmmakers, and many more professionals! Through the link is more information! Come enjoy great food and get to know other aspiring writers and filmmakers. This will be an informal meeting to share ideas and career aspirations, create an outline for future meetings and begin developing OUR film project. This book signing will feature Andy Lieber, the author of “Wild Shot”, his book is about traveling the world and his experiences with Olympic athletes! Don’t miss this cool event! Mark Stormzand will be discussing and signing copies of his book, “Stormy Outside: The Adventures And Misadventures Of A Forester & His Dog”! This is sure top be a fun and lighthearted event! Click that link to see more information! Have a great December everyone, and good luck on all your Black Friday shopping! Previous PostPrevious Strengthen your Character.